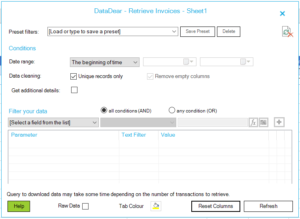 Ability to only show unique records – very useful in some cases where has record has multiple lines – example when an Invoice has multiple payments but you only need to view the list of Invoices. Remove empty columns – when ticked, DataDear will only download the columns which have a value instead of downloading all the columns. A help button which provides contextual help. 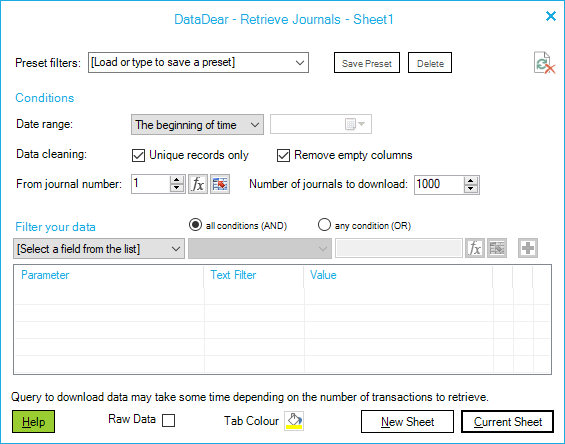 The journals data table functionality was improved to allow easier access to downloading journals and using the filters. For more information on how to use the Xero journals data table, a knowledgeable article has been published. The DataDear API, is gaining some interesting momentum – a new web page for developers has been published to showcase the advantages of using this api. some multiple period reports behaved abnormally on the last and first day of the month. 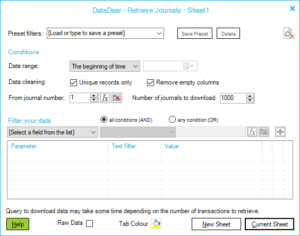 the last row of a downloaded data table was not always included in the generated table. A new report will be developed to facilitate the generation of batch bills for payments to be imported into your banking application.